Blackline’s Loner Mobile personal safety app turns an iPhone®, Android™ or BlackBerry® into a simple and non-intrusive safety monitoring platform. Designed for employees working alone or in unpredictable environments, the app communicates with monitoring personnel who are empowered to manage optimized emergency responses should an employee require help. 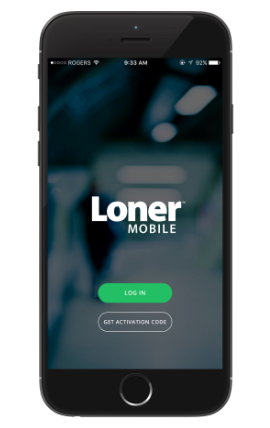 Loner Mobile easily transforms employees’ smartphones into reliable safety monitoring devices. The personal safety app fits into a lone worker’s routine and replaces productivity-draining check-in procedures. Unlike some safety monitoring smartphone apps that only call a buddy list, Loner Mobile alerts live monitoring personnel, empowered to dispatch an optimized and pin-pointed emergency response directly to the lone worker’s location. Prior to entering a site, building or client’s home, lone workers can send location-based notes to monitoring infrastructure that provide valuable context surrounding their location, activities and risk level. A configurable check-in timer confirms the employee’s ongoing well-being and notifies live monitoring personnel of exceptions via safety alerting. If an emergency incident occurs, the user can trigger a Loner Mobile’s SOS alert to notify monitoring personnel instantly. All Loner Mobile settings are configurable over-the-air in Blackline Live cloud-hosted monitoring portal, providing the control necessary from small deployments through to large-scale corporate roll-outs. Loner Mobile is an ideal solution for office personnel traveling into the field, replacing traditional Journey Management processes. Safety alerts can be configured for enable automatic two-way calling to monitoring personnel, enabling a higher level of situational awareness for optimized emergency responses. This feature also helps to make Loner Mobile compliant to British Standard 8484 for lone worker safety monitoring.